I’m not changing anything about my wedding packaging this year. 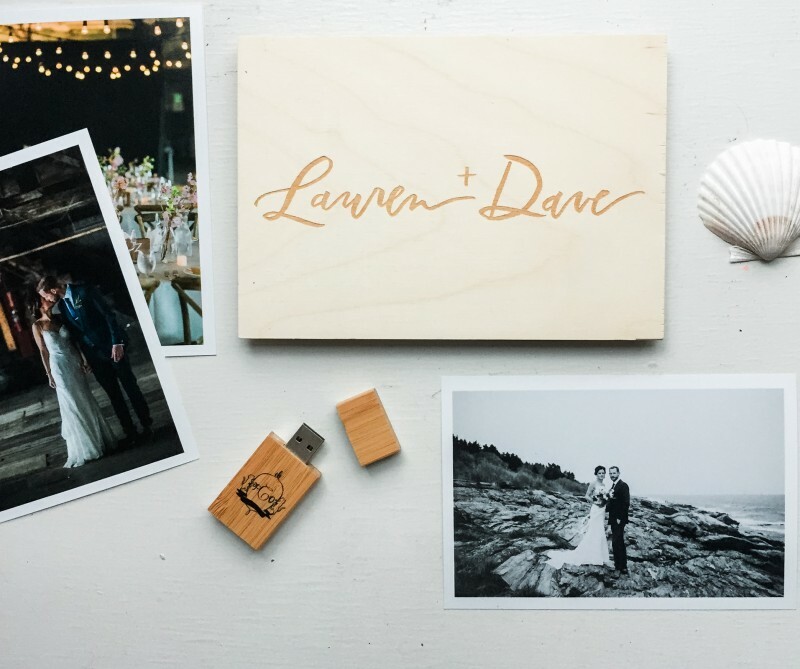 Every couple will receive about a 100 proof prints of my favorite photos in a wooden box, engraved with their names which I letter myself. The boxes are from WHCC. (I am hoping that one day they’ll offer darker finishes!) They’ll also receive a thumb drive of images. 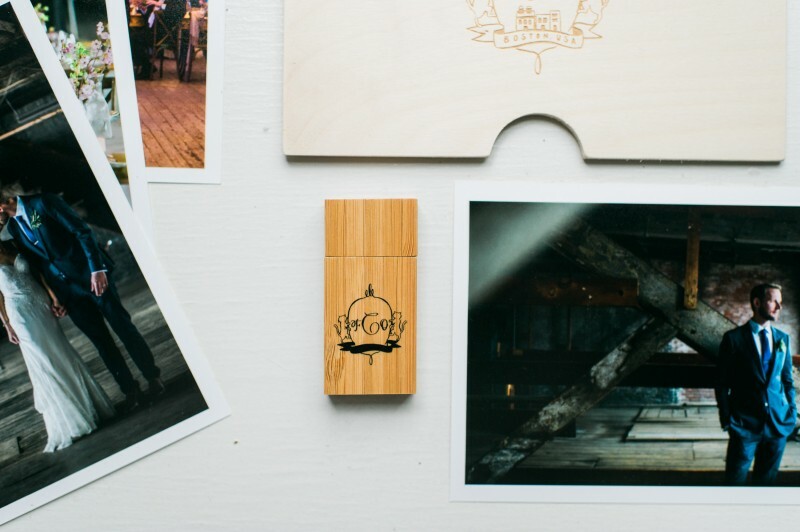 This year I’m using thumb drives in a bamboo finish that matches nicely in color with the engraved wood from the box. I chose to keep the logo on the thumb drive a little simpler so it’s easier to see – just the Fat Orange Cat Studio monogram. Thanks to USB Memory Direct for the speedy production and delivery of the drives! I have a whole season’s worth to see me through. Yay!